Who doesn’t want to be a photographer? Well now being one is easier than ever! Now you don’t need to ‘learn’ it by paying hefty amount of money nor you need to buy expensive equipment. All that you now need is a simple iPhone! So here is a list of top 10 photography apps that will make you a brilliant photographer. 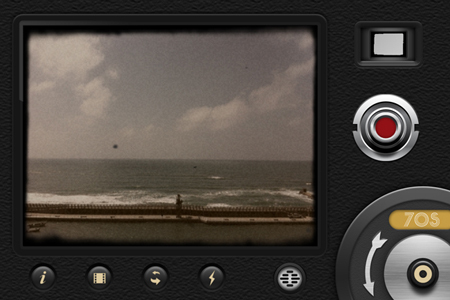 This app is inspired by the LOMO camera and lets you take pictures the vintage style! It lets you choose between lenses, films and flashes. It has an elegant user interface. It gives amazing results when used in natural light. It is not like other apps in which you take pictures and then add effects to them. It lets you choose the lens and film first and then itself adds effects to the pictures you take. The pictures you take require only 3 seconds to develop. Tip: Instead of selecting your lens, film and flash, let the app choose it for you by shaking the iPhone. It is undoubtedly the best photography app out there. What makes it unique is not features like social networks sharing or its catalog of filters, but there is something else that makes it unbeatable and extremely addictive. Instagram lets you handle single photo at a time, unlike Hipstamatic. Through this amazing app you take a photo (or upload one from the library), select the filter you want on it, then simple tag it and share it with the world! Tip: “Earlybird” filter always works. Do not over-do the “Tilt-shift”. Well this is not a still photography app but still I couldn’t help myself. This is an app used for making vintage videos. 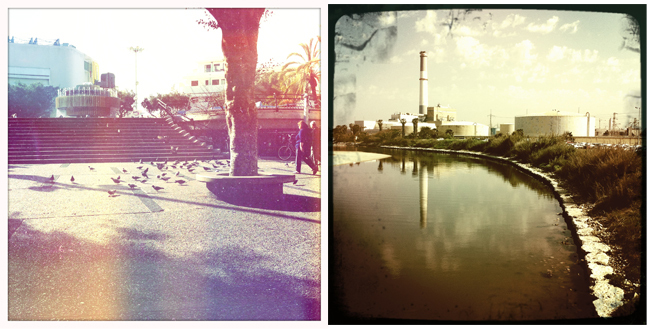 It has many vintage filters like 70’s, Sakura, XPro, Siena, and 1920. The thing that is great about this app is the fact that it lets you view it in real time and switch between filters while recording. The clips can be saved in your library or shared on youtube, directly. Tip: Try the jitter button at the bottom right. Photo booth makes almost everyone nostalgic.. Now you can live those memories again ith this cool app. All you have to do is to select a filter, click to take a picture and change pose after every flash, just like in a real photo both! Tip: Posing doesn’t come naturally for everyone, so try practicing before in front of the mirror! It sad when you can’t capture the full beauty of a wide ocean in your iPhone. Now don’t worry as 360Panorama will take care of it. All you need to take amazing pictures will this app is natural light and a still hand! You simply take pictures like in a video shoot — the pictures are in a collection. Tip: Don’t try to get it enlarged and hang it on your living room wall! Let your inner artist do his thing by using this app. It is a very easy to use app. All you are required to do is to select or take 2 pictures and then let this app do its thing! Tip: Select one picture with blank background, so the combined picture will look amazing. Want a nice effect? Then keep the main object in colour and secondary object in black and white! Sometimes when we see some certain pictures we wish they could tell what happened at that moment. Now this is sirt of possible by using this great app. Yes you guessed it right, this app lets you add subtitle. 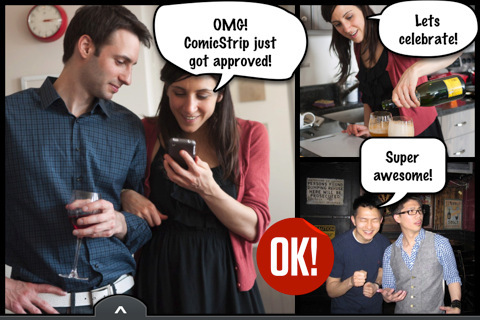 So now turn your pictures into comics! Tip: To make it more fun just take the photos straight from the app so you can best pose them. This app lets you do quick touch-ups by letting you crop, straighten, change exposure and add contrast etc. A must and free app for every amateur iPhone photographer! As the name suggests this app lets you add colourful labels and funny tags to pictures. Another (iPhone) photographer’s first aid tool is this cool app that allows you to label your pictures with colorful and funny tags. A good app to save the memories! Tilt Shift is super cool. 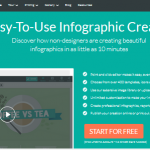 You can easily creates a miniature things by using this app. Not only that, you can play around with the lights, colors, etc to create something really unique. IncrediBooth is awesome!!! i really luv it!! Nice list! Hipstamatic and Instagram are definitely great photography apps. I’m not a pro photographer, but these apps made my photos look polished. Anyway, you might want to give Snap-A-Note by Rainbow Riders a try. Basic photography app (no effects whatsoever), but has a built-in mailing system that lets me send the pictures I took in my email for future editing. http://itunes.apple.com/us/app/id473437307?mt=8&ign-mpt=uo%3D4. Thanks for this list! Instagram at number 2 I find bizarre. Although the filters are good the idea behind instagram is annoying for the seasoned photography/iphoneographer. Everything you take on the app ends up on instagram’s site and so nothing is private. On top of this invasive idea the instagram terms and conditions state that, although they do not claim ownership of the images taken with instagram, they do claim a license to distribute, copy, edit, add to, remove from, across all mediums and formats. In other words, if you take a decent image they can sell it without giving you a dime. If you take your intellectual property seriously, do not use this app.